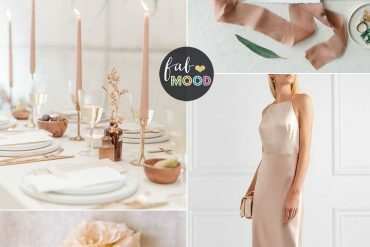 This week, we’ve been focusing on pastel wedding colour palettes as something to look forward to as we get closer and closer to Spring. (Maybe it’s just us being optimistic about warmer weather to come!) 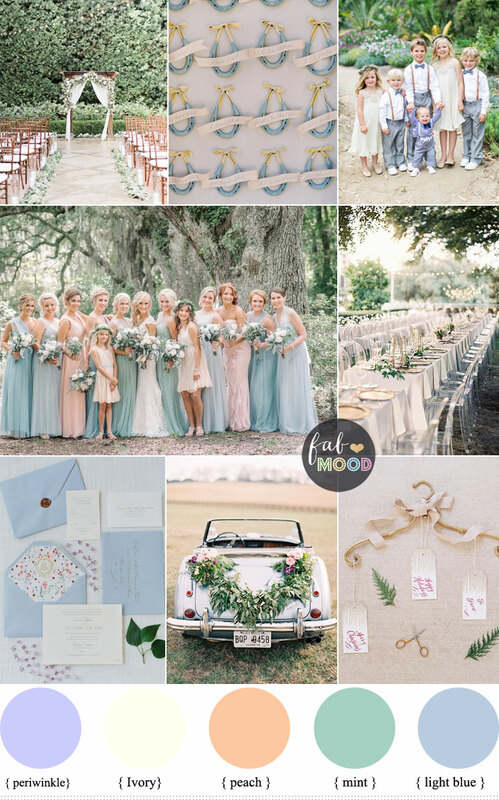 Check out today’s colour inspiration utilizing a palette derived from periwinkle, ivory, peach, mint and light blue. 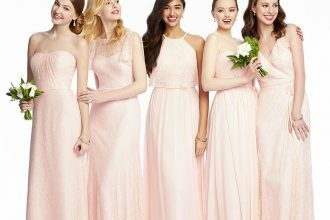 Mixing up the colours of bridesmaids’ gowns can be a great way to create a more dynamic look for your ceremony, especially when you have a large bridal party. 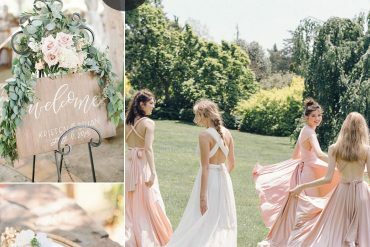 These slightly different shades of blue and green blend beautifully for a subtle variation, and if you have special members of the bridal party you’d like to have stand out from the rest, using peach looks great in the mix. These colours offer a great opportunity for your invitations and paper suites too – like this beautiful periwinkle envelop lined in a floral motif inside! There are so many great flower options in this palette that you can put together for your bouquet, like peach roses surrounded in minty green eucalyptus greenery. 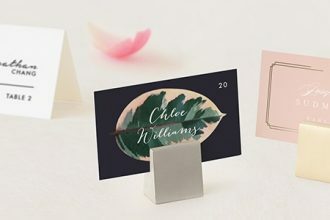 Let us know what you think about these colour combinations, or how else you can dream up playing with this palette for a wedding or photo shoot! Awesome wedding ,all are looking gorgeous, thank you for sharing the blog, well done. 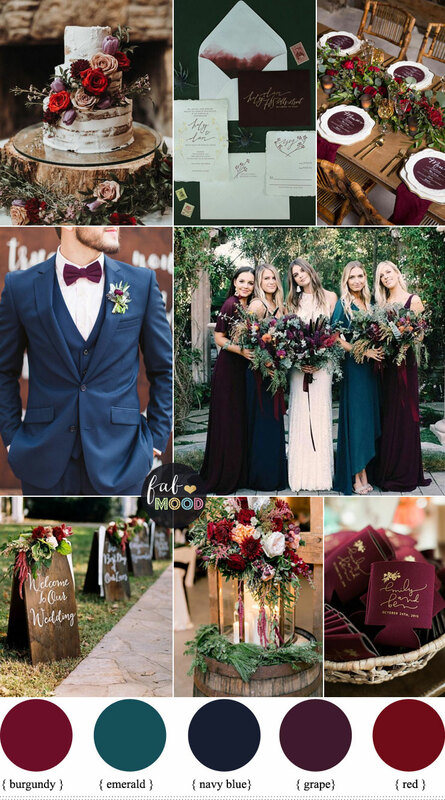 This is awesome – any chance you have the colors that the groom and groomsmen wore also? Would love to see those if so!